biped-humanoid robots, research robots, and serial servomotors. new products to bring to market and focus on more complex analysis. revenue therefrom or the level of revenue for any particular period. or functionality, is subject to change at PTC’s discretion. 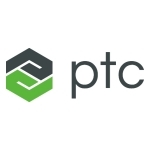 PTC Inc. or its subsidiaries in the United States and other countries.